A man wanted for a burglary in East Preston has been arrested after being spotted by a member of the public at a railway station. James Beaney from Bognor was detained by officers at Brighton railway station on Tuesday, January 30 after a member of the public called police. The 41-year-old was wanted for a burglary which took place in Michel Grove in East Preston on December 30. 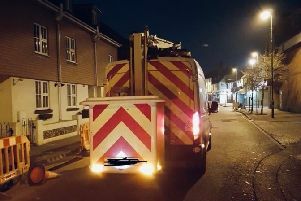 He has been charged with the burglary and will be kept in custody ahead of his appearance at Lewes Crown Court on February 23.